PEES Components GmbH provides electronic components for hydraulic drives. 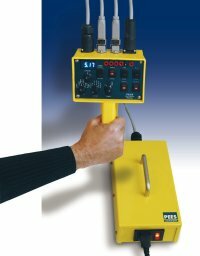 With its long lasting experience of more than four decades in engineering and development PEES offers a broad portfolio of all kinds of control systems, ranging from simple hydraulic test equipment over analog amplifier modules to complex digital closed-loop controllers with modern fieldbus support. PEES COMPONENTS is the Distributor of products from the former Company PEES Steuer- und Regelanlagen GmbH, Moers. 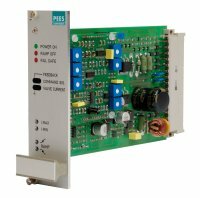 PEES COMPONENTS vertreibt Produkte der ehemaligen Firma PEES Steuer- und Regelanlagen GmbH aus Moers. In line with the technological trend, a series of digital devices installed in 24/48-pole Phoenix module housings for rail-mounting has been developed to augment the familiar series of analog devices, such as the AN2XX and AN4XX. 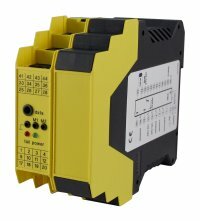 The basic modules take the form of three-loop P, I, DT1 controllers which, depending on type, are suitable, with the additional end stages, for servo-valves up to +/-200mA and proportional valves up to 3000mA, or for applications in which the end stage is mounted on the valve. The AN 4xx series has been especially developed for those applications where there was a need for compact and easy to install controllers. 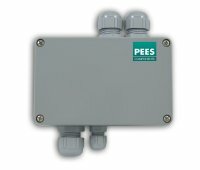 As with all PEES Components units, these modules are extremely efficient and of superior quality. In this section you will find all units whose circuit board uses the European Format 100 x 160 (mm). The moment of truth in the initial commissioning of hydraulic systems and the appurtenant machines and facilities often occurs at the point where machines or other elements fail to behave as envisaged at the planning and design stage. 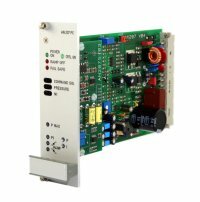 The AN402 servo amplifier module is intended for the control of single magnet proportional valves. The control algorithm, ramps and similar command variables are derived exclusively from an external computer (PLC). 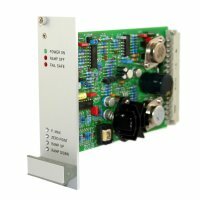 The AN404 servo amplifier module is intended for the control of proportional valves with two magnets. The snap-on housing enables the AN404 module to be mounted on normal carrier rails in control cabinets. The electrical connections are via a terminal strip and a flat connector (enable input). The AN410 pressure controller module is intended for pressure closed-loop-controls in conjunction with a pressure control valve. When the controller enable is switched off, the unit operates as an open loop controller in which the system pressure is adjusted in the usual manner by the valve current in conjunction with the control characteristic. 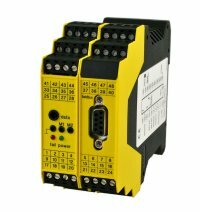 The AN417 setpoint module enables the universal input of setpoints for the control of servo and proportional valves. It has four setpoints and a polarity reverser. The AN418 servo amplifier module is intended for the control of proportional valves with two magnets. The snap-on housing enables the AN418 module to be mounted on normal carrier rails in control cabinets. The electrical connections are via a terminal strip and a flat connector (enable input). 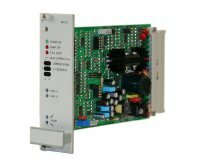 The AN419 servo amplifier module is intended for the control of single magnet roportional valves. The snap-on housing enables the AN419 module to be mounted on normal carrier rails in control cabinets. The electrical connections are via a terminal strip and a flat connector (enable input). 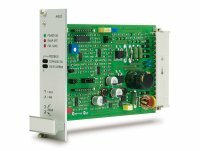 The AN423 servo amplifier module is intended for the control of single magnet proportional valves. The snap-on housing enables the amplifier module to be mounted on normal carrier rails in control cabinets. 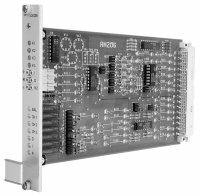 This PID controller module has been developed to meet the continuous demand for analog controller units in an easy-to-handle modular form. 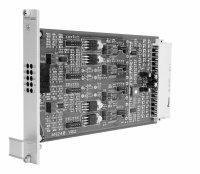 The AN430 controller module has been developed, with the controller and servo amplifier accommodated in a single housing, for actuation of servo valves. The servo valve section can be supplied for four different current ranges (±20mA, ±100mA, ±200mA, ± 300mA). 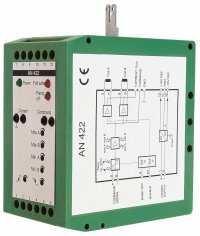 The ADN 402 has been developed as a digital controller incorporating a valve amplifier for proportional valves with two magnets. The valve output stages function with fast de-excitation, with the result that the magnet current is adjusted to 0 in approx. 3-4ms. 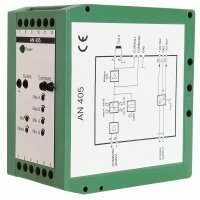 The ADN 403 controller is a member of a modular-structure family of digital devices, which currently consists of eleven modules and is being continuously expanded. 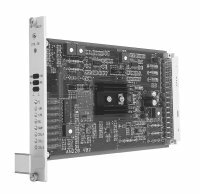 The ADN 403 is a high-speed cascade controller which permits implementation of up to three control loops. The ADN 404 has been developed as a digital controller with a valve amplifier for actuation of a servo-valve. The output stage is suitable in four ranges for +/– 20mA to 200mA valves. 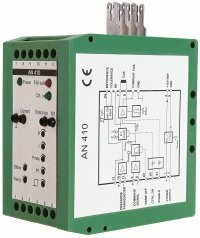 The ADN 405 has been developed as a digital servo-amplifier for proportional valves featuring two magnets. The valve output stages function without fast de-excitation. 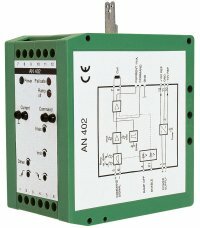 The ADN 406 has been developed as a digital servo-amplifier for proportional valves with one magnet. The valve output stages function with fast de-excitation, signifying that the magnet current can be set to 0 in approx. 3–4ms. 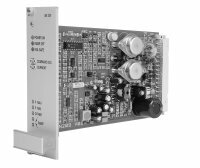 Thanks to its high-speed output stage, the ADN 406 is extremely suitable for control tasks in the 0–30Hz frequency range. 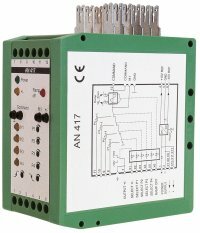 The ADN 407 has been developed as a digital controller for actuation of servo and proportional valves in which the valve output stage is mounted on the valve. The controller is of dual type for operation of, for example, two axes synchronously as a CNC control system. The ADN 408 distribution unit has been specially developed for plant and system engineering, in order to eliminate the need to connect multiple cores to a single screw terminal. The module has the following outputs: 4 x 24V for supply of adjacent modules, and 4 x +/–15V or +/–10V. The +/–15V and +/–10V voltages are provided for supply of external sensors. The ADN 409 has been developed as a CNC control system for operation with a directional proportional valve. The assembly consists of two modules, of types MD1 and MD14. The MD1 module is the basic module (equivalent to the ADN 402). The MD14 is the CNC expansion module. The MD14 CNC module is also used in other device combinations, due to the modular structure of this system. The ADN 410 has been developed as a CNC control system for operation with a servo-valve. The assembly consists of two modules, of types MD3 and MD14. The MD3 is the basic module (equivalent to the ADN 404). The MD14 is the add-on CNC module. 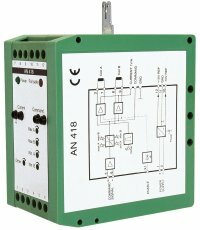 The ADN 411 has been developed as a CNC control system for operation with a valve in which the electronics are mounted on the valve. The assembly consists of two modules, of types MD6 and MD14. The MD6 is the basic module (equivalent to ADN 407). 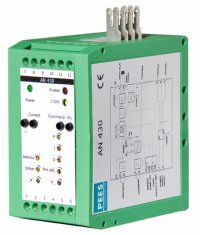 The MD14 is the add-on CNC module. 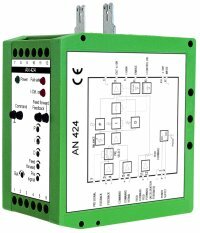 The ADN 412 has been developed as a dual CNC control unit for operation with two correcting elements in which the electronics are mounted on the valves. The assembly consists of two modules, of types MD6 and MD15. MD6 is the basic module (equivalent to ADN 407). The MD15 is the add-on CNC module. The ADN 600 is a valve amplifier for actuation of proportional valves, primarily in mobile driven machines. The device is can be operated at supply voltages from 11 to 28V dc, changeover from 24V supplies to 12V operating voltage occurs automatically by means of the built-in supply-voltage monitor. 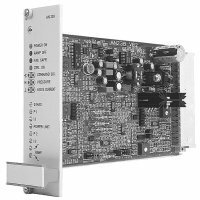 The ADN 601 is a valve amplifier for actuation of two proportional valves, primarily in mobile driven machines. The device can be operated at supply voltages from 11 to 28V dc, changeover from 24V supplies to 12V operating voltage occurs automatically by means of the built-in supply-voltage monitor. 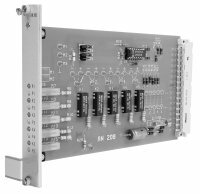 The AN203 servo-amplifier has been designed for pressure control circuits with position-controlled pressure valves. The AN206 controller module has been developed for use in plant engineering. 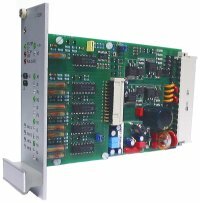 Combination with other modular units permits assembly of any controller arrangements required. The P, I and D components can be adjusted internally or externally, via potentiometers. 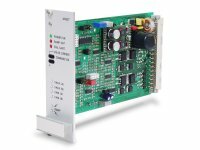 The AN207PC servo-amplifier has been specially designed for pressure control circuits in conjunction with a pressure adjustment valve. Thanks to the use of a PI controller, this module permits high accuracy between the Actual pressure value and the target-value (setpoint) input. The AN208 setpoint module was designed for the application of setpoints in electrohydraulic open and closed loop control systems. With this module, it is possible to connect external setpoint potentiometers or the setpoints that are adjustable on the module can be connected internally. 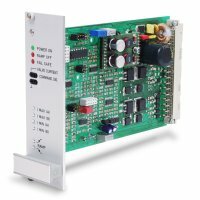 The AN209 servo amplifier has been designed to control single-magnet proportional valves and throttle-valves. The module is provided with various setpoint inputs: 4-20mA, 0-20mA, 0-5V, 0-10V, user selectable 10k /V An external enable input allows to lock the amplifier. 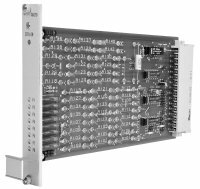 The AN 210 module has been designed as a logical element for systems. The many different OP circuits, solder tags for components and the possibility of external interconnection for the individual OP amplifiers make this module suitable for a wide range of applications. 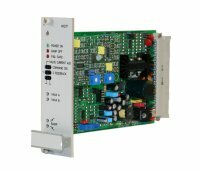 The AN220 servo amplifier is suitable for controlling the most popular servo valves. 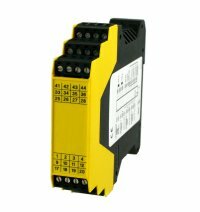 The module provides current ranges of -20mA, -100mA, and -400mA for this purpose. The valve modulation can be adjusted by an internal/external limiter. In addition, the module is equipped with a PID controller, allowing a control system with a servo valve to be set up. The AN 223 measurement socket module has 20 measurement sockets on the front plate. 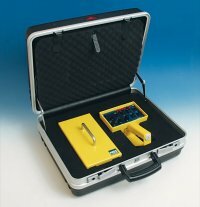 These allow rapid checking of the individual function stages of a system. In addition, 9 pairs of solder tags are provided for use as required. The AN 230 was especially designed as a amplifier to control proportinal valves without position feedback combined with the possibility to get the command signals direct from the amplifier. Hereby the command signals can be used as fixed values or together with an external potentiometer. The AN236 servo-amplifier has been specially developed for yoke positioning on an axial piston pump. The amplifier AN237 was developed to control proportional valves in a closed-loop control. 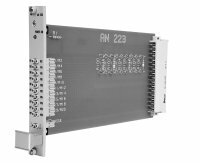 The AN238 servo amplifier has been designed for the control of axial piston pumps valves in conjunction with servo valves. 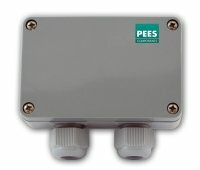 The module can be used as a pressure controller (zero stroke pump) or a volumetric flow controller by changing jumpers. The AN239 setpoint module permits universal setpoint switching in electro-hydraulic open and closed loop control systems. It has five adjustable setpoints and a polarity reverser. An externally switchable and adjustable ramp is assigned to each setpoint. The AN 240 converter module has been developed to convert current signals to voltages and voltage signals to currents. A large selection of current and voltage ranges can be set thanks to the extensive input circuitry and simple positioning of jumpers. 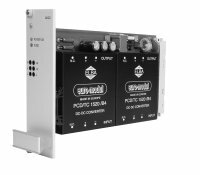 The power supply AN 241 is a powerpack unit,which allows to supply installations and systems with 24VDC. The output of the unit are two voltages + 15VDC and 15VDC to supply analogues units. Additional be a auxiliary voltage made available. 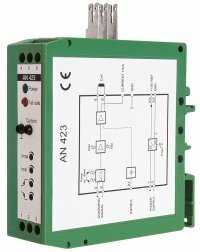 The AN527 servo amplifier has been designed for controlled proportional-stroke valves with two magnet coils. The amplifier AN528 was developed to control proportional valves in a closed-loop control. The AN527 is used as a basic unit. By connecting a special module it is possible to drive the AN527 as the AN528 together with positioning controlled proportional valves. 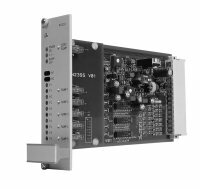 The AN532 servo amplifier has been designed to control single-magnet proportional valves and throttle valves. The AN533 servo amplifier has been designed to control single-magnet proportional valves and throttle valves with position controller. 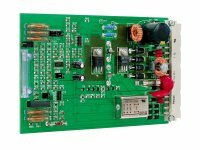 The AN535 servo amplifier has been designed as a low-cost unit for single-magnet proportional valves.